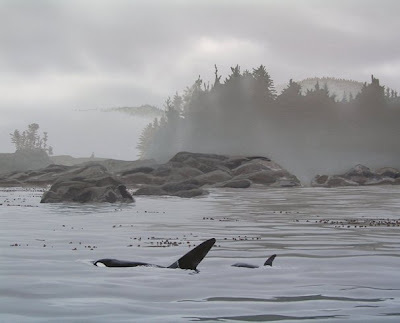 A mother and calf orca search the lush and fertile Vancouver Island coastline. I saw these whales this past July and was awestruck by their beauty. Each time they surface they blow and the noise is incredible. 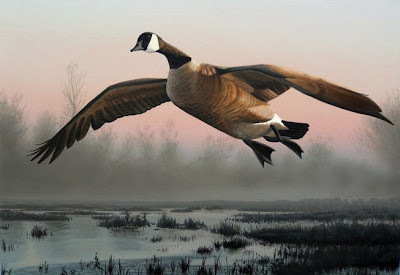 With this painting I wanted to capture the feeling of the Northwest with the fog, clouds and abundant wildlife. 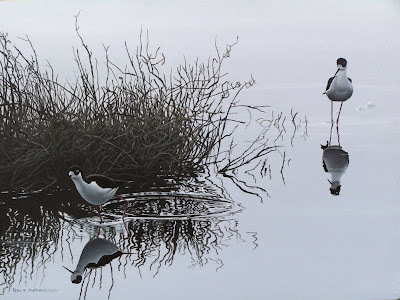 I recently found out that I have been accepted into the International Guild of Realism, a website that showcases realistic artists from around the world. This is very exciting news and I look forward to my relationship with the guild and to the upcoming exhbition opporunities. A mother and calf search near shore for prey. I saw these whales while in BC in late July and it's my first orca painting. The pod I saw had about 10 whales in it and they were in the more open waters of the Queen Charlotte Strait. Here I have them near the shore with some classic Northwest weather. Stay tuned for more updates as I get into the details of the trees and rocks. There may even be a few gulls on the rocks. 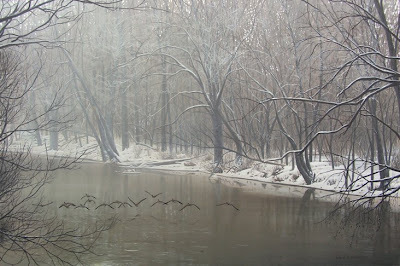 This scene of Big Darby Creek was inspired by a photograph taken by Jerry Swanson who lives near the river in Ohio. 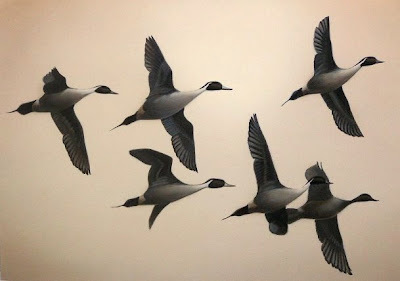 What inspired me to create a painting from his photograph was the cool, winteriness of the image and the fact that the geese were flying low to water that also seemed to be gliding along. The painting is an acrylic on board and measures 20"x30" inches. 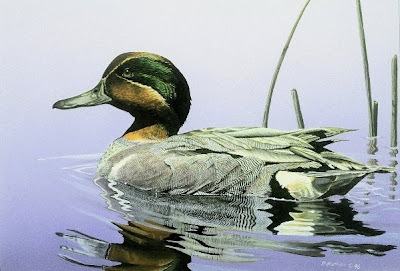 Every August, hundreds of artists from across the country create paintings for one of the most rigorous, yet rewarding, art competitions in the US - the Federal Duck Stamp Contest. I have been busy working on mine since July and it is getting closer to being to finished. Actually, the only thing left is the painstaking detail that is required to be competitive. Below are a few examples of my past entries. Some have done really well, and others have not. 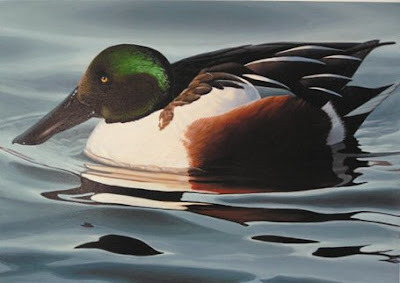 I should note that there are 5 species to choose from each year and each painting is 7"x10". Later this week I will post this year's entry. I just got back from the annual fishing trip to British Columbia that I take with my Dad and a close family friend each year. 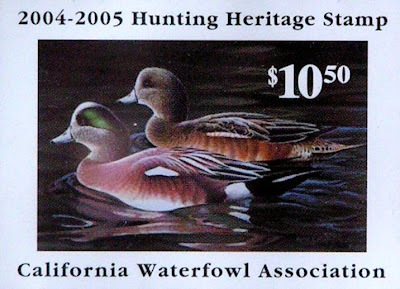 This year the wildlife really seemed in abundance as a couple of pictures can attest. 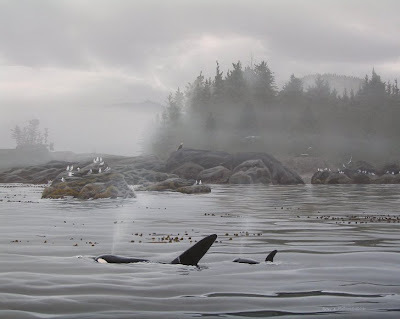 There will be two paintings for sure from this trip including one of some killer whales. A bald eagle keeps an eye out from atop a sailboat. A pod of orcas took over our fishing area. There were about ten whales and they put on quite a display! A Port Hardy sunset. The Silver Fox, captained by Ian Anderson, was our home for five incredible days.